Beloved husband, father, brother, uncle & great uncle. Born in West Chester, PA discipline and sacrifice played key roles in his spectacular athletic career. Al lettered in football, baseball, basketball and track at West Chester High School and Perkiomen Prep. He was a member of the University of Kentucky National Championship Football Team coached by the legendary Paul "Bear" Bryant. Al also was a member of the University of Kentucky National Championship Basketball Team coached by the legendary Adolph Rupp. After graduating he was drafted by the Philadelphia Eagles, opted to take his talents north of the border to the Canadian Football League, a more lucrative decision in those times. In 1952 he joined the Toronto Argonauts and was selected to the All-Canadian First Team, leading in pass and TD receptions during the Argonauts' Grey Cup Championship season. Al also played for Ottawa and Winnipeg. He coached at Ottawa and Hamilton of the Canadian Football League, returned to the U.S. to coach at Harvard University, then returned to Canada as head coach of the Hamilton Tigercats where he made 4 Grey Cup appearances in 6 years, brought the cup home in "86" and with it was selected as Canadian Football League Coach of the Year. Al was inducted into 4 Halls of Fame including the Chester County Sports hall of Fame and the University of Kentucky Athletics Hall of Fame lettering in football, basketball and track. Throughout his career Al helped many student athletes to further their education. He was involved in many charitable activities, most dear to Al was helping special needs kids. He always reached out to help people and always had a smile on his face. Al Bruno was loved by everyone who crossed his path. A Memorial Mass will be at San Antonio Catholic Church in Port Charlotte on Thursday, October 9, 2014 at 11:00 AM. Kays-Ponger & Uselton Funeral Home has been entrusted with the arrangements. It would be difficult to find a home-grown figure more worthy of induction into the Chester County Sports Hall of Fame than Albert P. Bruno. Born in West Chester on March 28, 1927, Bruno was raised in a demanding, working-class household where discipline and sacrifice would play key roles in both his childhood and spectacular athletic career. After two years at West Chester High School where he lettered in football, baseball, basketball, and track, Bruno moved on to Perkiomen Preparatory School in 1946 where he also earned four letters. His accomplishments on the football field drew the attention of legendary University of Kentucky football coach Paul "Bear" Bryant, who offered Bruno a scholarship. Bruno repaid the favor during his three year career under Bryant, and then some. In 1950, his senior season, the hard-nosed end caught 38 passes for 589 yards and 10 touchdowns - huge numbers for that era - and was named third-team All America by both AP and UPI. 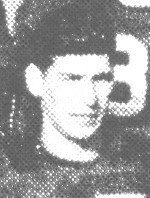 His single-season school record for receiving yards stood until 1964 and his single-season record for touchdown receptions held until 1998. Bruno, however, was reluctant to forego his participation in other sports. In addition to playing a key role on UK's Orange and Sugar Bowl teams, he also played on the Wildcats' National Championship basketball team in 1949 under another legendary head coach, Adolph Rupp. 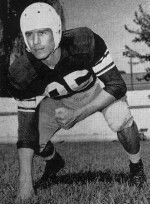 Although selected by the by the Philadelphia Eagles in the 1951 NFL draft, Bruno soon opted to return to Kentucky to earn his bachelor's degree in education and to assist Bryant as a graduate student. 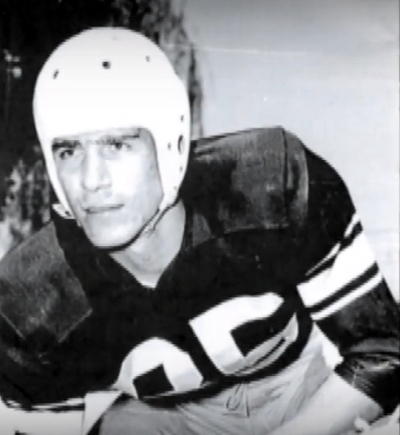 In 1952, rather than return to the NFL, Bruno, with a glowing recommendation from the "Bear", took his talents north of the border to Canada, where he caught on with the Toronto Argonauts. Not surprisingly, Bruno led Toronto in both receiving and TD catches during the Argos' 1952 CFL Grey Cup championship season. He also played for the Ottawa Rough Riders and the Winnipeg Blue Bombers before a serious knee injury ended his illustrious playing career. He spent the next few years testing the coaching waters in Canada as an assistant before returning to West Chester High as a teacher and coach. In 1966, Bruno returned to the CFL as offensive coordinator for the Rough Riders. Following two seasons in Ottawa, he was named offensive coordinator for the Hamilton Tiger-Cats under head coach Joe Restic. After three seasons in Hamilton, Bruno followed Restic to Harvard University, where they guided the Crimson to three Ivy League titles during the next 10 seasons. Soon after, the "Great White North" beckoned yet again and Bruno was named head coach of the Tiger-Cats in 1983. After two straight trips to the CFL Championship game, the Bruno-led Tiger-Cats finally brought home the Grey Cup in 1986, and with it, Bruno's selection as CFL Coach of the Year. Bruno remained as Hamilton head coach until 1991, when he joined the British Columbia Lions as their head pro scout. He eventually ended his coaching career at McMaster University in Hamilton, Ontario. 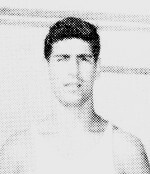 When Kentucky Athletics' 2008 Hall of Fame class was formally inducted in Lexington in late 2008, Al Bruno headlined the list of UK stars, which included men's basketball player and athletics director C.M. Newton and men's golfer Johnny Owens. 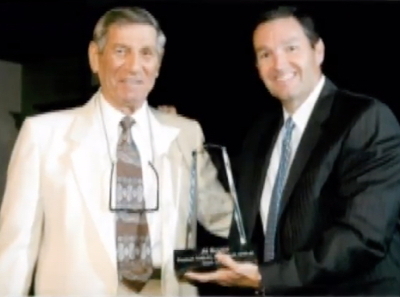 In 2004, Bruno was inducted into the West Chester Henderson High School Hall of Fame. Bruno and his wife, Marie, reside in Punta Gorda, Florida.